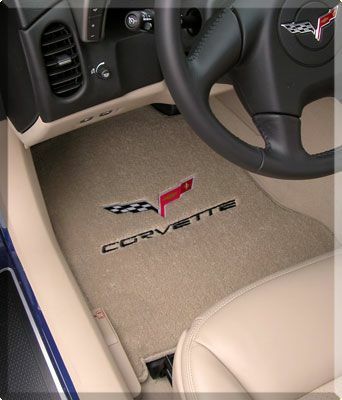 Wheteher you are looking for FLOOR MATS for your car, truck, suv, or van. 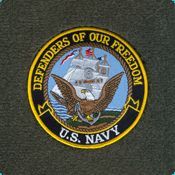 DASHCOVERS PLUS DEPOT DIST., INC. offers, besides what we manufacture, we also offer, LLOYD FLOOR MATS,AVERY FLOOR MATS, HUSKY LINERS, WEATHERTEC,NASCAR FLOOR MATS, COLLEGE LOGO FLOOR MATS, NFL FLOOR MATS,SHEEPSKING FLOOR MATS, and we also have the capabilities to embroider your own special designs on your carpeted floor mats including car dealership logos. 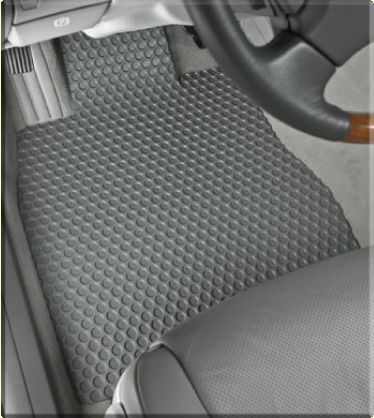 DASHCOVERS PLUS DEPOT DIST., INC. is your ONE STOP custom-fit floor mat store to order from. 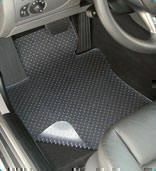 NO ONE ELSE can offer you a complete line of FLOOR MATS as DASHCOVERS PLUS DEPOT DIST., INC. YES! 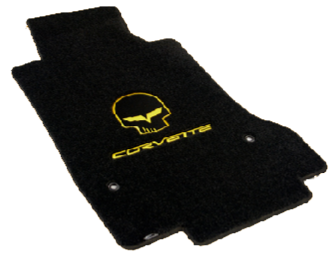 We even offer CUSTOM-FIT FLOOR MATS for CORVETTES. 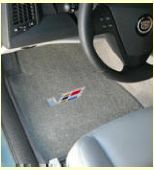 Please choose from our full selection of CUSTOM-FIT FLOOR MATS which BEST describes your needs. 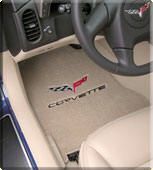 Whether you are looking for CUSTOM-FIT PLUSH FLOOR MATS to keep your feet warm or FLOOR MATS to protect your carpet in the vehilce from water, mud, slush, or just everyday wear and tear DASHCOVERS PLUS DEPOT DIST., INC is here to advise you on what is best for your particular needs.WHEN YOU WANT A COMPLETE LINE OF FLOOR MAT CHOICES, WHETEHER YOU ARE LOOKING FOR 2PC, 4PC, FULL ACROSS FLOOR MATS OR CARGO MATS DASHCOVERS PLUS DEPOT DIST., INC. CAN HELP. • Poly/Nylon yarn blend combines the strength of polypropylene with the crush resistance of nylon. • Fewer Returns - Blended colors in each mat complement the most popular interior colors. • Commingled yarn colors hide surface soiling. • Poly/Nylon yarn blend has been specifically formulated for inherent resistance to stains and fading. • Matching nylon velour binding that will never unravel. Lloyd’s five year mat warranty. • 1/2" of Premium continuous filament nylon. Yarn so soft you'll want to drive barefoot. • Yarn weight of 48 ounces per yard. More than triple the weight of most original mats. • Treated to resist stains and soil. • Waterproof backing to protect the original interior. • Our multi-layer backing includes an extra thick urethane core that provides extra cushioning and insulates against heat and road noise. • Choose from hundreds of embroidered designs. • Hand Beveling around emblems and mat edges. • Keep mats in place. • O.E. 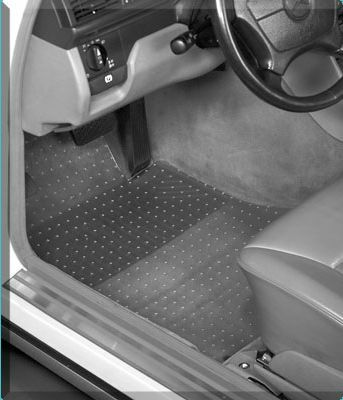 compatible or Lloyd's own mat fastening system on all front mats. 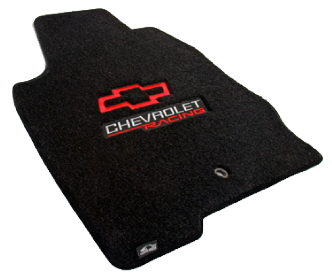 • LUXE mats are warranted for as long as the original mat buyer keeps the vehicle. • Over 5000 exact fitting patterns for virtually every Car, Truck, SUV and Van. • Each mat has hundreds of "wells" to hold water, snow, mud, sand and spills. • Rounded "well" walls are designed for ease of cleaning. Just hose-off the mats and clean. 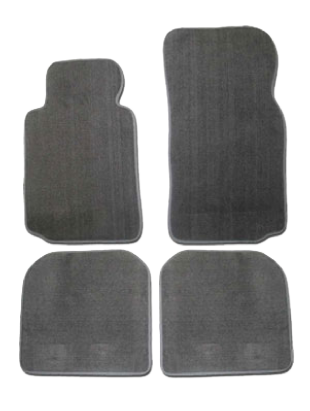 • These heavy-weight composition rubber mats stay flexible even in sub-freezing temperatures. • Rubber nib backing holds the mats in place. 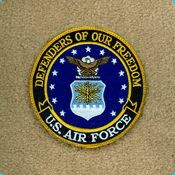 Mat surface has a non-slip texture for additional safety. • Attractive, contemporary edge to edge design. 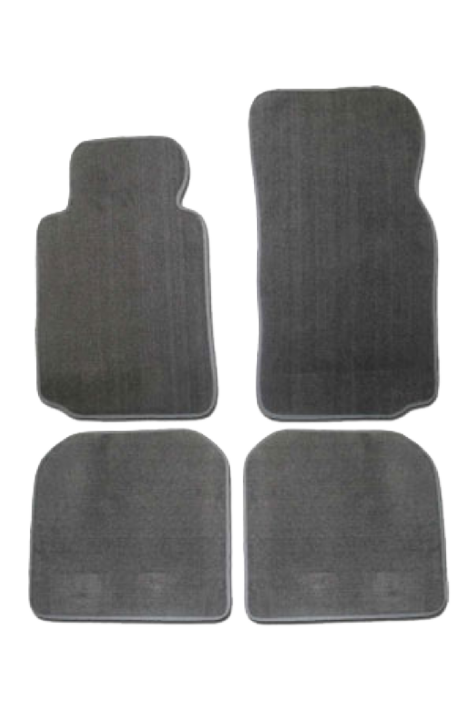 • Your choice of Black, Grey, Tan or "NEW Crystal Clear" mats. • Long vinyl nibs keep Protector Mats in place. • Textured face provides safe, non-skid surface. • Over 5000 exact fitting patterns for virtually every Car, Truck, SUV and Van. 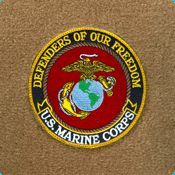 Many door-to-door one piece mats available. • Resist soiling and most stains. • Water-proof backing to keep moisture from the original carpet. • Rubber nib (not plastic) backing to keep the mat in place. • Applications for most models from 1990 through current models. • Heavy Plush Mats come with a 10 year warranty. 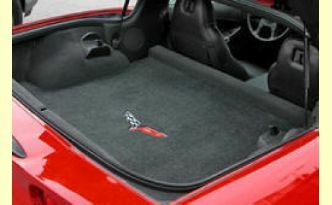 Touring plush mats are constructed of densely woven 22oz face weight tufted nylon yarn with matching binding. Available in 17 popular colors. It features a high lustered look that can be cleaned with soap and water for lasting beauty. 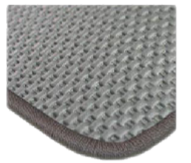 Touring select plush mats are constructed of a densely woven 28 oz. tufted nylon yarn with matching binding. Available in 8 popular colors. 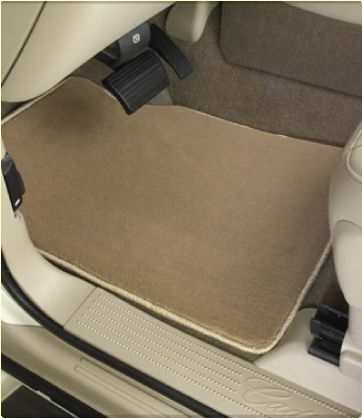 Extend the life of your floor mat with a color coordinated vinyl heel pad. 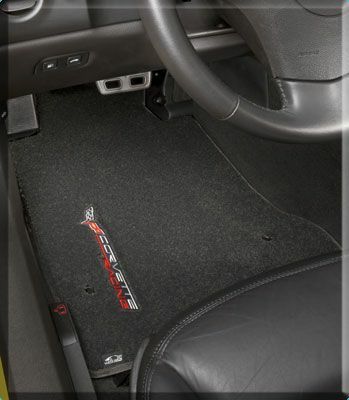 This is a standard option included on all of these custom floor mats. They are color matching. 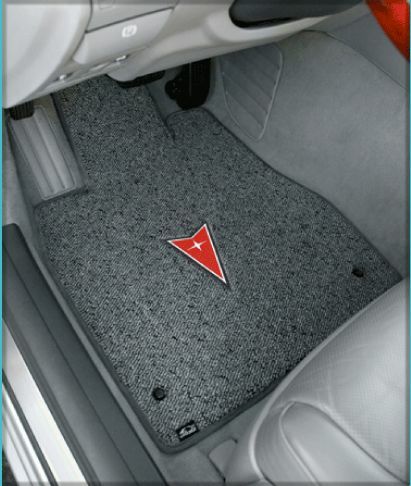 Our mats are high quality automotive carpet in a 14oz. polyester material. All come standard with a vinyl heel pad. 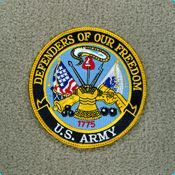 They come in a variety of colors, and over 22,000 different designs from daktota collectibles are available for embroidery on our mats only! 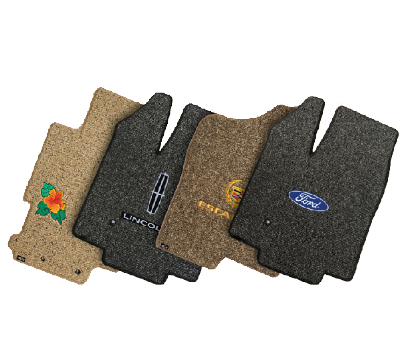 Get your custom fit sheepskin floormats today! These are the ultimate in comfort and original style. 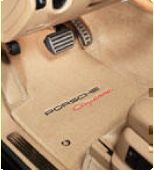 With many colors to choose from, and are available for many cars, trucks and SUV's. They have a non slip rubber backing and come with a heelpad to protect them from driver side wear and tear. 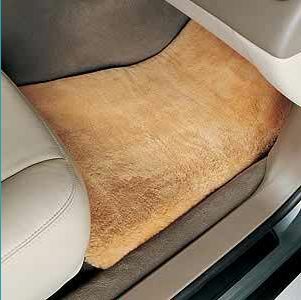 Go ahead, drive with your shoes off, and feel the comfort of pure sheepskin under your feet. Driving never felt so comfortable! 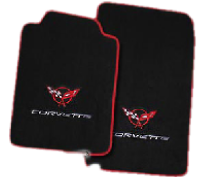 If you have a question about floor mats please use the spaces below to contact us by e-mail. We will respond within 24 hrs.